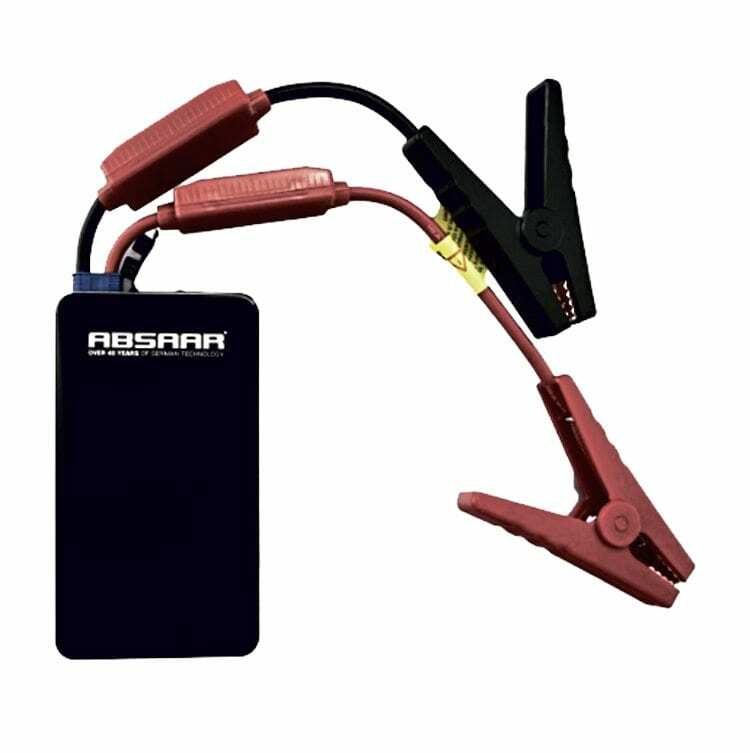 When I first saw the new Absaar mini jump starter and power pack, I couldn’t believe that this tiny box (not much bigger than my phone) could provide enough power to jump start a bike. 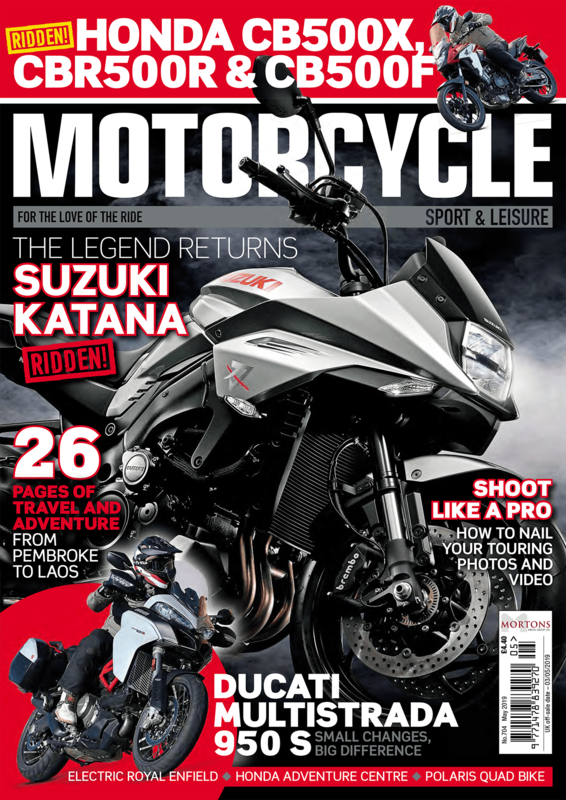 However, as the owner of a 2005 Yamaha Fazer FZS1000 with the original battery still in place, it wasn’t long before I needed to test it. One morning I turned the key in the ignition, pressed the start button and nothing happened: the battery was as dead as a dodo. 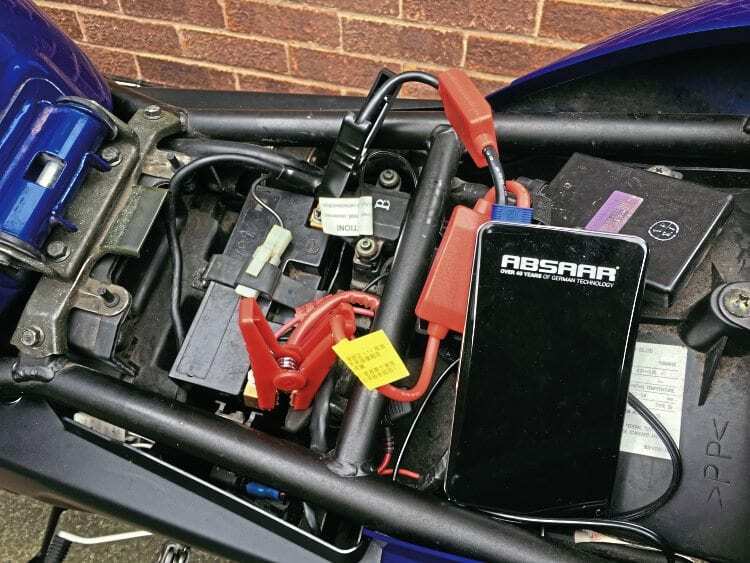 So, out came the Absaar, and sure enough, after I connected the supplied crocodile clips to the battery terminals, the bike started as if the battery had been full. This didn’t even seem to drain the power pack, and the lights on the side indicated that after the jump start there was still as much power left as before (or near enough for the lights not to change). I was thoroughly impressed! The whole thing is only the size of a smartphone (138 x 78 x 18mm) and weighs 230g, making it easy to take with you on your travels. It comes with a micro-USB charging cable and crocodile clips.